Can developers help create resilient communities in residential apartments? 393 Macaulay Road in Kensington is a planned mixed-use, multi-storey residential development made possible through a unique collaboration between Assemble and Make Ventures. The development will be located just three kilometres north-west of Melbourne’s Central Business District, comprising 73 apartments over eight levels including 1-bed, 2-bed and 3-bed apartments. The design and development plan for the site has been informed by significant community engagement including survey questionnaires with prospective and future residents, and a suite of engagement briefings and events. Building design at the site is based on the philosophy of ‘small footprint living’ to support community sustainability. At the heart of the design is a landscaped, open-air walkway for cross-flow ventilation and natural light to maximise the passive environmental performance of the building. Design will also incorporate durable materials, flexible spaces, robust energy systems and integrated landscaping. Residents at the site will be connected in the building through communal spaces on the upper and ground floors including places for work, eating and leisure. The communal lifestyle offered by 393 Macaulay Road defines the project, with effort taken by developers and stakeholders to build social cohesion through early resident engagement; design excellence, and community development from the ground up. 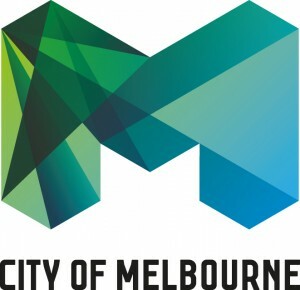 Planning approval was granted by the City of Melbourne in 2018 and construction is set to commence in 2019. 393 Macaulay Road Kensington will be the first project to be delivered via the Assemble Model. The Assemble Model is an innovative housing development model that bridges the gap between renting and home ownership by allowing residents to lease their home while they save to buy. The rent and purchase price are both fixed, giving residents stability while they save, as well as the freedom to leave the lease or decide not to buy if they choose. With Assemble acting as the building manager for five years, economies of scale can be put to good use; from bulk buying of services and utilities to planning generous shared spaces that can be adapted and repurposed for a variety of uses. This innovative development approach will encourage greater understanding about how to create connected and resilient local communities in inner city apartments that are both sustainable and financially viable. 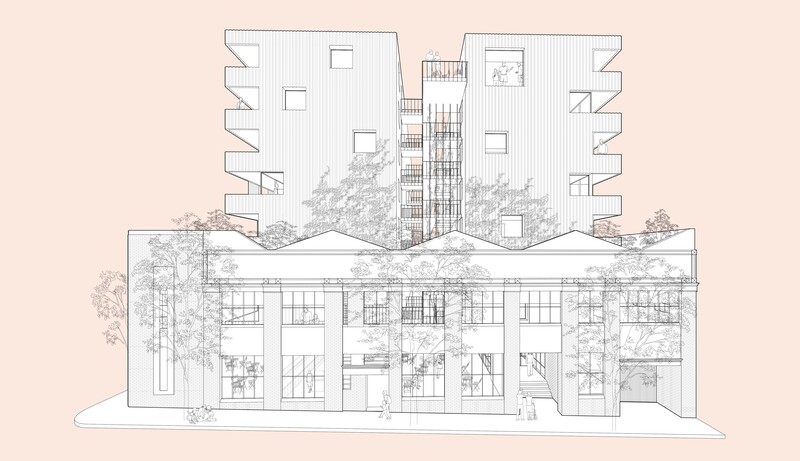 Over the next three years, Resilient Melbourne will work closely with Make Ventures and Assemble to provide support to build a strong sense of community and place attachment at the 393 Macaulay Road site. In partnership with academics from Melbourne University we will also test and evaluate the Assemble Model as a participatory development model and showcase success stories within our networks. 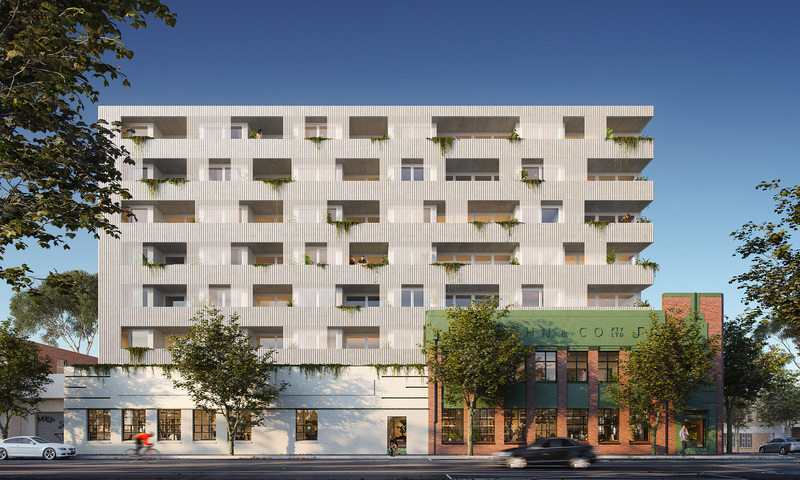 The project at 393 Macaulay Road Kensington is expected to uncover new learnings and insights about how to create and sustain connected communities in inner city apartments. In particular, it will explore the potential of developer driven efforts to build community and resilience in new residential settings. 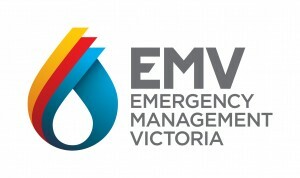 Resilient Melbourne is working with developers and stakeholders at 393 Macaulay Road in Kensington to do two things: first to provide support to create a strong, self-sustaining community at this site; and second to examine whether or not participatory development helps build social cohesion and resilience.